Would you like to find out what online advertising formats are triumphing? To know which ones are best to convert visits into leads and clients? David Tomas, cofounder and CEO of Cyberclick, will clarify it all in this eBook. The 8 digital advertising formats that best attract quality traffic. How to get visitors who will convert into leads or clients. The benefits of each advertising format. Go mobile or go home! The best way of reaching out to potential audiences. You may think you know it already, but there is always more to learn! Download the eBook now and become an expert! 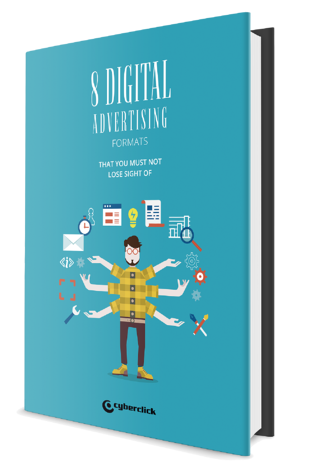 Download now the 8 digital advertising formats ebook!